Yosemite National Park is a wonderland of towering granite, stellar vistas, quiet forests, and thunderous waterfalls. One step into this majestic valley and you’ll see why millions visit from all over the world. Now, Yosemite weddings are nothing short of spectacular. It’s easily one of the best places to elope in the US and while it may not be the greatest for larger weddings, there are beautiful outdoor venues that can accommodate up to 100 guests. So where can have your marriage ceremony in the park? Yosemite certainly has plenty of outdoor venues to choose from. But being a national park, there are some restrictions you will have to work with. Chief of which is the number of guests allowed at your ceremony. This divides things into roughly two categories, which for this guide I’m calling Wedding and Elopement venues. For those couples eloping or having intimate weddings with fewer than eleven people you can basically have your ceremony anywhere in the park. There are some restrictions on riverbanks and the meadows but that’s about it, the sky really is the limit here. Through my travels in the park I've found a few elopement venues I think are perfect for an intimate ceremony in Yosemite and I’ve listed some of my favorite spots towards the bottom of this list. With more than eleven guests you’ll be restricted to one of several gorgeous locations from the official list provided by Yosemite National Park. They can accommodate ceremonies ranging from intimate elopements to weddings with up to one hundred guests. Each site has its' own guest limits so make sure it will fit your needs. 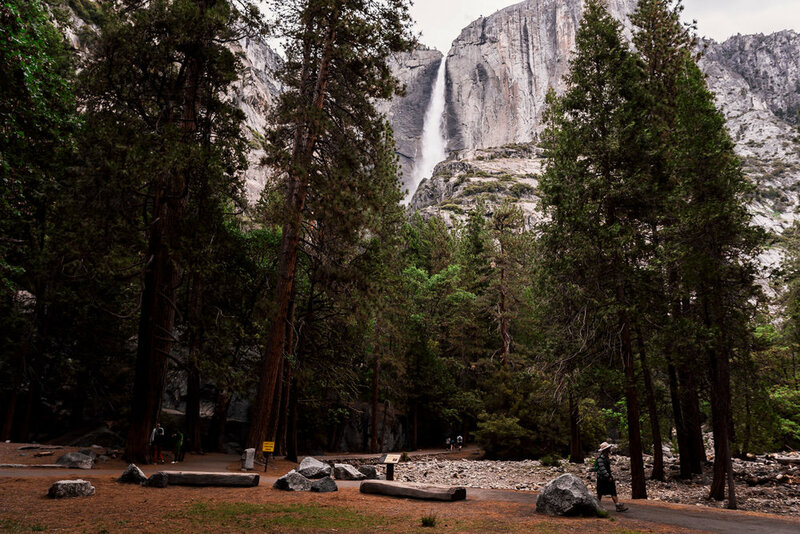 The Cascades picnic area is located on the west end of the Yosemite Valley. It's the first major stop when entering the park via the El Portal entrance and across the street from The Cascades viewing area. Wedding ceremonies can be held anywhere in the picnic area as long as you are six feet from the Merced River. While a good number of people stop at The Cascades viewpoint, I've found the picnic area to be lightly used. This also happens to be one of my favorite elopement locations in the Yosemite Valley. Glacier point is the one of the most iconic spots in Yosemite National Park. With such jaw dropping views of Half Dome, it’s easy to see why. Marriage ceremonies here are held in the amphitheater so it is one of the few locations in the park where your guests will have a seat. The biggest downside to this location is that with great fame, comes great crowds. Avoid weekends at all costs and try to have your ceremony as early as possible for the best experience. When you try to picture Yosemite National Park, you'll likely imagine Yosemite Falls right after Half Dome. This iconic waterfall is a real beauty. It's no surprise so many want it as the backdrop for their Yosemite wedding. While you can't have your wedding right on the viewing platform, you can have your ceremony at a designated area between a fork in the trail, there the upper section of the falls is in full view. Keep in mind Yosemite Falls is one of the busiest places in the park. The Swinging Bridge Picnic Area is a lovely little spot located along the Merced river in the Yosemite Valley. Featuring fantastic views, stony beaches, pine trees, and open meadows. Wedding ceremonies can take place anywhere in the picnic area but sadly not on the bridge itself. The site is moderately trafficked due to the beautiful views from the wooden bridge. Cathedral Beach offers one of the larger ceremony locations in Yosemite National Park. 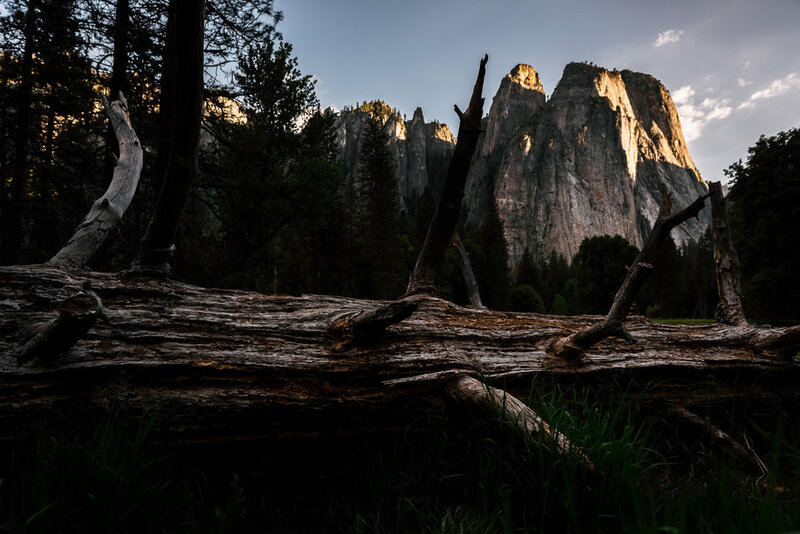 The tranquil waters of the Merced, rocky beaches, easy access, and spectacular views of El Capitan make it a favorite spot among couples and park visitors alike. If you have a bigger wedding party, Sentinel Beach is the place for you. It allows for the greatest number of guests of all the ceremony locations in the park. Unsurprisingly, the beach here is a bit bigger than Cathedral. It also tends to be a bit more crowded. As for looks, it's no slouch. While Cathedral Beach may have better views of El Capitan, Sentinel's backdrop includes views of upper Yosemite falls. That's not a bad trade. 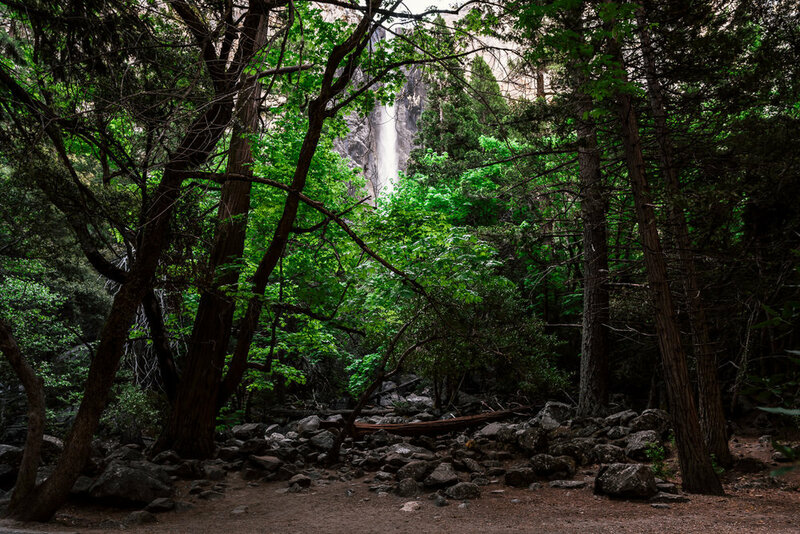 Bridalveil Falls checks everything off the list for a yosemite wedding ceremony location; stunning waterfall, granite cliffs, lush woods, granite boulders, you name it. There is only one spot you can hold a wedding ceremony at Bridalveil, and it is gorgeous. Interestingly though, despite being one of the smaller ceremony locations, it allows for a surprising number of guests. It's hard to imagine a more picturesque lake for a wedding than Tenaya Lake. Located along Highway 120 Tenaya Lake sits at over 8,000 feet of elevation meaning there's always a chance you'll have some snow in your wedding photos. This granite wrapped lake has one location available for larger wedding ceremonies and infinite possibilities for elopements. It's also just down the road from Olmsted Point, my favorite spot in Yosemite National Park. If you love Yosemite, but want a wedding Giant Sequoias, and don't mind a bit of a hike to your wedding ceremony than getting married in the groves is a great option. As trails go, both groves are relatively easy hikes. But in formal attire, it might be a little much for most. The trail out the Merced Grove is a bit longer, but it is also not as heavily trafficked as the Tuolumne Grove. Here's an amazing place to elope. Olmsted Point is hands down my favorite elopement ceremony venue that I've discovered in all of Yosemite National Park. As you can see below, the views, no matter which way you look are breathtaking. 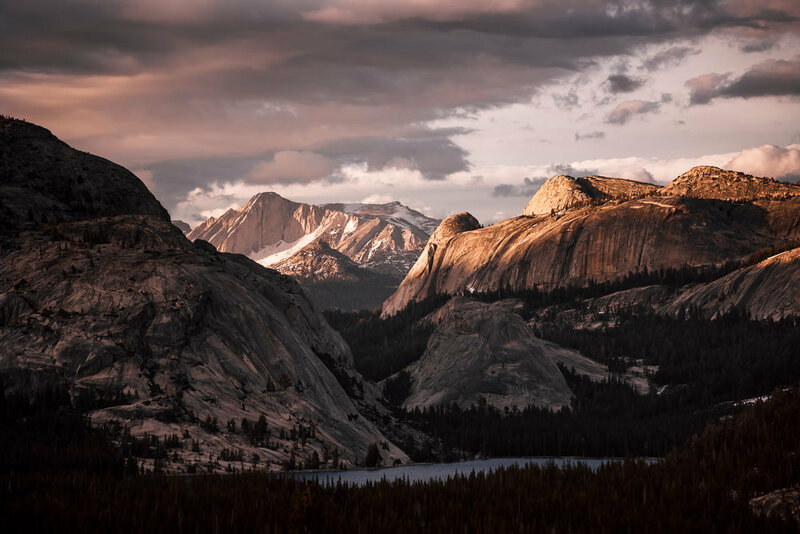 While many people stop at the vista point, few take the short trail that leads into the sprawling slabs of high sierra granite. Just down the road is Tenaya Lake and there's even a waterfall nearby, talk about a unique idea for an elopement. It's convenient, it's beautiful, let's go. Want another incredible venue idea for eloping? 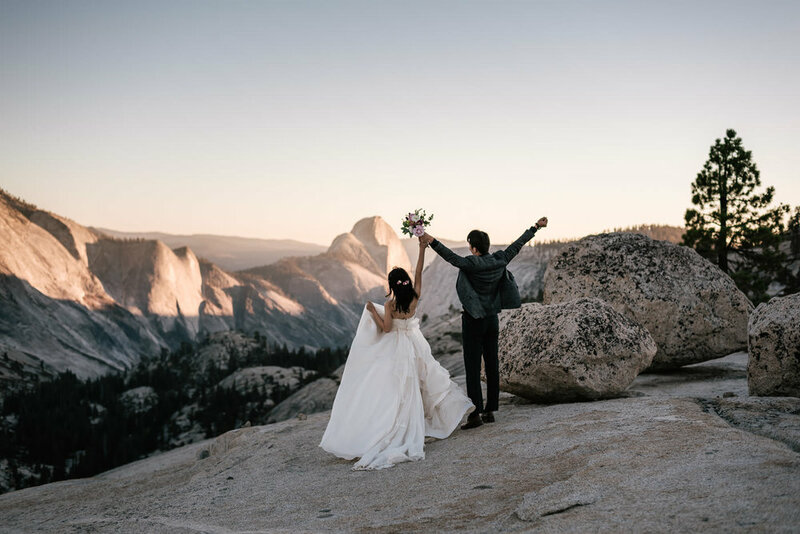 Sentinel dome is the elopement location of choice in Yosemite National Park if you want the most iconic images possible. 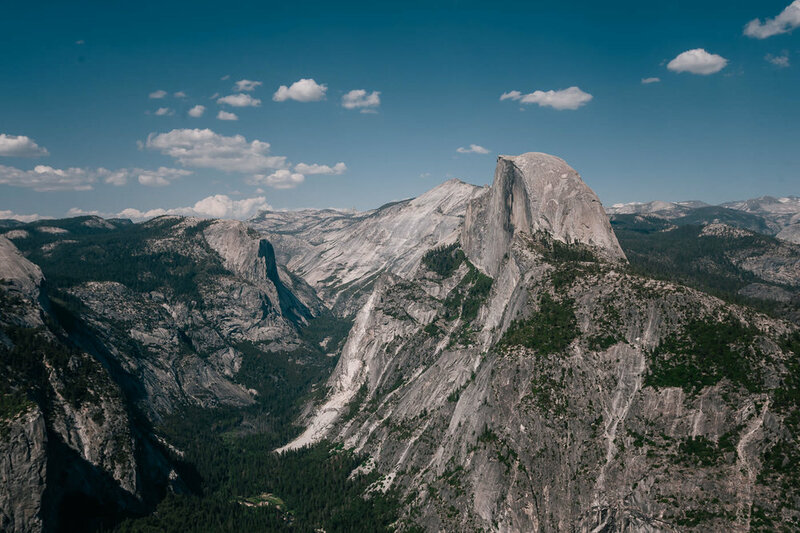 It has arguably the best views of Half Dome in the park and relatively few people make the short hike out to the peak of the dome. If you're eloping to Yosemite, seriously consider this as your destination. Taft Point is accessible by the same trailhead as Sentinel Dome. While these two locations might be next door to each other, they offer vastly different views and a more adventurous setting. Taft point is a granite outcropping with sheer drops to the valley below, giving it views of the valley, and el capitan second to none. Definitely not a good choice for those with a fear of heights. All ceremonies in the national park require a permit. The cost is $150, that makes Yosemite not only an amazing place to elope, but one that is budget friendly. But that permit doesn't grant you special access to your chosen ceremony location. Site use is first-come, first-served. That means a park visitor has just as much of a claim to your desired spot as you do. So when picking a location in Yosemite keep that in mind. Two ways to get around that are have your Yosemite wedding ceremony in the off season, September 30th till Memorial day, and/or in the morning. Ceremonies are also limited to a two hour maximum. This is going to be a big factor in picking the venue for your ceremony location. Many locations in the park have a limit on how big the wedding can be. Have one hundred wedding guests? Then you'll be limited to Sentinel Beach. If you want to get married at Lower Yosemite Falls then your wedding can't have more than fifty people. Other locations may only allow as few as twenty guests. In addition, most locations will require a park official to monitor your wedding if you have fifty or more guests at an additional cost of $50 an hour. 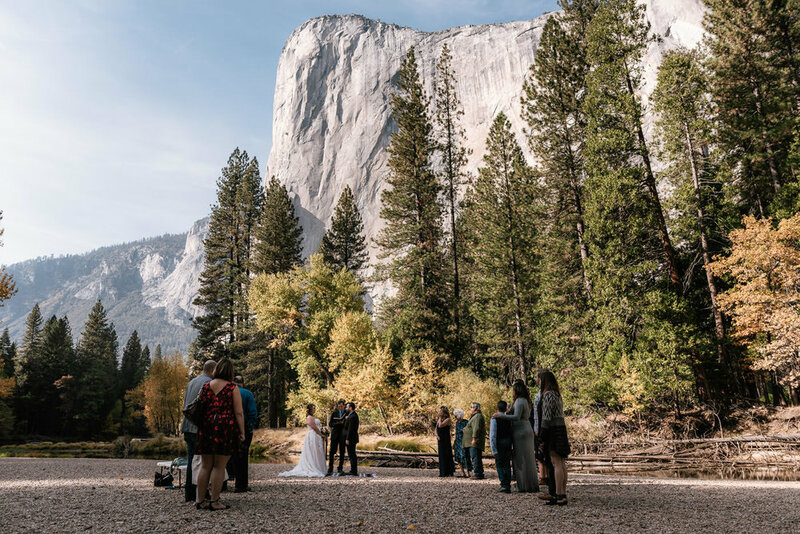 Now if you are eloping to Yosemite, or will have less than eleven people attending your wedding, the park really opens up and you can have your ceremony basically anywhere with the exception of the meadows and riverbanks of the park. This freedom makes the park one of the best places to elope in California. All wedding ceremonies in the park require a permit. The park does not grant Wedding permits on holiday weekends or holidays (Saturday, Sunday, and Monday). As those can be some of the busiest days in the park, you really don’t want to have your wedding then anyways. Sadly pets are not allowed to attend wedding ceremonies in Yosemite National Park. Amplified microphones are prohibited for wedding ceremonies. Music and speakers are also prohibited with the exception of iPods/iPhones and 2-3 inch speakers. Because of this, keep in mind that most locations in Yosemite are near waterfalls or rivers, it can sometimes be hard to hear people speak. Ceremony decorations are also strictly prohibited. But it’s pretty hard to improve upon Yosemite anyways. You must avoid standing or walking on plants, grasses and tree roots in the park. Strive to leave no trace and keepo the park pristine. If getting married in the Giant Sequoia groves, standing under the sequoia trees is prohibited. It can damage their shallow roots.